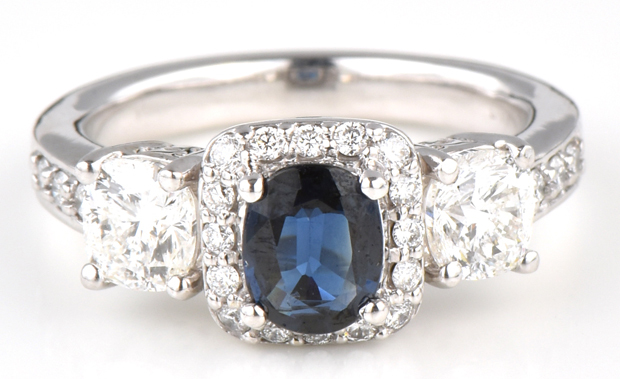 Description: There is a .72 ct. oval blue sapphire in the center of this stylish cocktail ring. 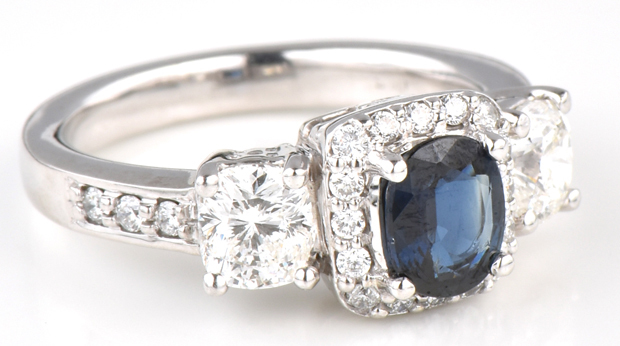 The sapphire is surrounded with a halo of diamonds weighing around .20 cttw, SI clarity, I color. 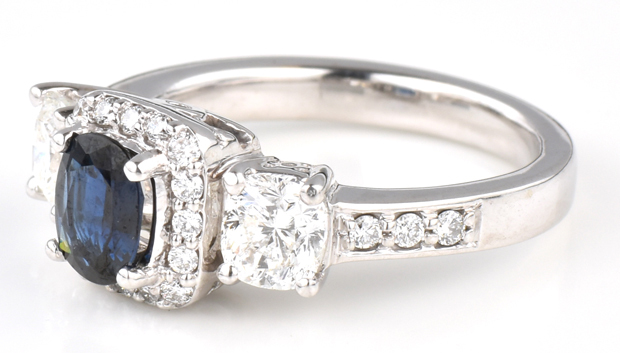 On either side of the halo is an approximate .60 ct. cushion cut side diamond, weighing approximately 1.20 cttw, SI1 clarity, I color. Ring size 5.5, 3.8 dwt.